Regular physical activity benefits health in many ways, including helping build and maintain healthy bones, muscles, and joints; helping control weight and reduce fat; and preventing or delaying the development of high blood pressure (GAO, 2012). Exercise is one of the least expensive ways to stay healthy, with one study finding that exercise can prevent chronic diseases as effectively as medication (British Journal of Medicine, 2013). Childhood sports participation is a significant predictor of young adults’ participation in sports and physical fitness activities. Adolescents who play sports are eight times as likely to be active at age 24 as adolescents who do not play sports (Sports Participation as Predictors of Participation in Sports and Physical Fitness Activities in Young Adulthood, Perkins, 2004). Three-in-four (77%) of adults aged 30+ who play sports today played sports as school-aged children. Only 3% of adults who play sports currently did not play when they were young (Robert Wood Johnson Foundation/Harvard University/NPR, 2015). Organized sports activity helps children develop and improve cognitive skills, according to a study of that tracked kids from kindergarten through fourth grade (Piche, 2014). 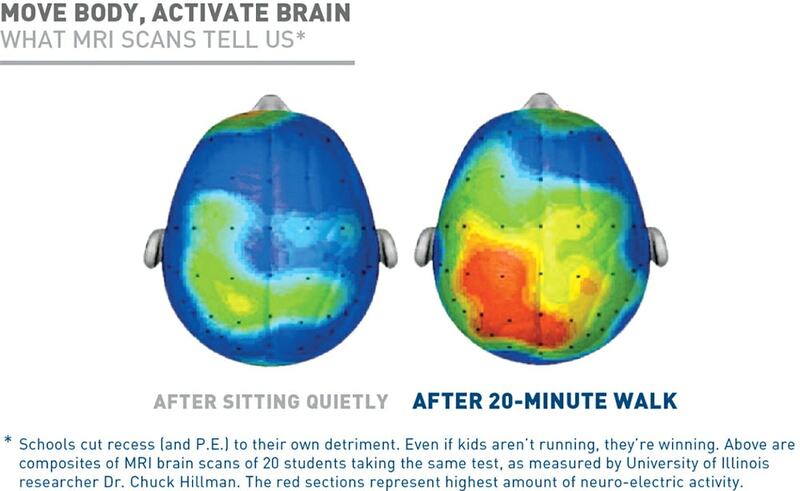 Physical activity in general is associated with improved academic achievement, including grades and standardized test scores. Further, such activity can affect attitudes and academic behavior, including enhanced concentration, attention, and improved classroom behavior (GAO, 2012). High school athletes are more likely than non-athletes to attend college and get degrees; team captains, MVPs achieve in school at even higher rates (US Dept. of Education, 2005). The benefits extend to the workplace. A survey of 400 female corporate executives found 94% played a sport and that 61% say that has contributed to their career success (EY Women Athletes Business Network/espnW, 2014). A number of studies provide support for the premise that physical activity, and sports in particular, can positively affect aspects of personal development among young people, such as self-esteem, goal-setting, and leadership. However, evidence indicates that the quality of coaching is a key factor in maximizing positive effects (GAO, 2012). Compared to non-athlete peers, female high school athletes are less likely to be sexually active, to use drugs, and to suffer from depression (Women’s Sports Foundation, 2004). A correlation has been found between regular exercise and mental health among students in general as they move into the teenage years. Among students who exercised 6 to 7 days a week, 25.1% felt sad for two weeks or more in the past 12 months, compared to 35.7% of students who reported exercising on 0 to 1 day. Of students who exercised 6-7 days, 15% reported suicidal ideation, and 6.4% reported a suicide attempt in the past year, compared to 24.6% and 10.3% of students who exercised 0-1 day, respectively (Journal of American Academy of Child & Adolescent Psychiatry, 2015). Parents appreciate these benefits. 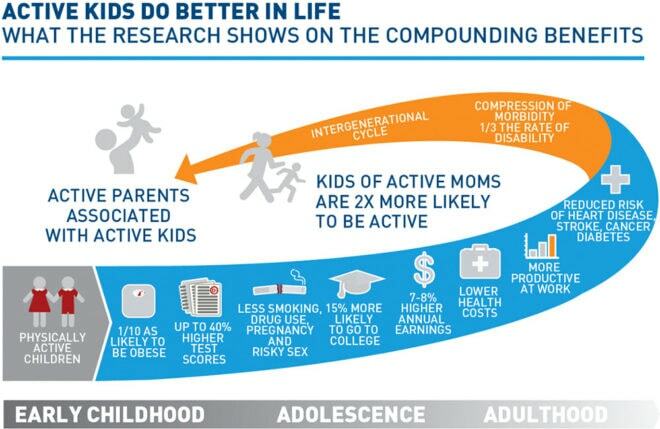 Asked about the positive effects playing sports has had for their children, they pointed to: physical health (88%), giving the child something to do (83%), teaching discipline or dedication (81%), teaching how to get along with others (78%), mental health (73%), social life (65%), skills to help in future schooling (56%), and skills to help in a future career (55%), according to the RWJF/Harvard/NPR survey in 2015. Harrison, P. A., Narayan, G. (2003).Differences in behavior, psychological factors, and environmental factors associated with participation inschoolsportsand other activities in adolescence.Journal of School Health, 73(3). Abstract available at: http://www.ncbi.nlm.nih.gov/entrez/query.fcgi?cmd=Retrieve&db=PubMed&list_uids=12677730&dopt=Abstract. Beets, M.W., Pitetti, K.H. (2005). Contribution of physical education and sport to health-related fitness in high school students. Journal of School Health. 75(1). pp. 25-30. Centers for Disease Control and Prevention. Facts on sports and smoke free youth. Available: http://www.cdc.gov/tobacco/research_data/youth/ythsprt1.htm; American Psychological Association. Cohen, D.A., Taylor, S.L., Zonta, M., Vestal, K.D., Schuster, M.A. (2007). Availability of high school extracurricular sports programs and high risk behaviors. Journal of School Health. 77. 80-86. Moore, M. J., Werch, C. E. (2005). Sport and physical activity participation and substance use among adolescents. Journal of Adolescent Health. 36 (6). 486-493. Eitle, D., Turner, R. J., Eitle, T. M. (2003). The deterrence hypothesis reexamined: Sports participation and substance use among young adults.Journal of Drug Issues.33(1), 193-222. Whitley, R. L. (1999). Those ‘dumb jocks’ are at it again: A comparison of the educational performances of athletes and nonathletes in North Carolina high schools from 1993 through 1996. High School Journal.82(4), 223-233. Jergovic, Diana. (2001).The impact of athletic participation on the academic achievement of American adolescents. Dissertation Abstracts International: Section B: The Sciences and Engineering. 62(1-B), 576.